A unique payment scheme allows you to combine the financial payments + the service offer costs (a maintenance contract). More than a financing contract, this management scheme involves the return of the equipment at the end of the contract. No worries about reselling the machine, or the management of fixed assets. The payments being deductible costs have the effect of reducing the taxable income of your business. This renting finance scheme allows you in the term of the contract to become the owner of the equipment by raising an option to buy contractually, predefined during the initial signature of the contract. The simplest formula to finance your handling equipment. 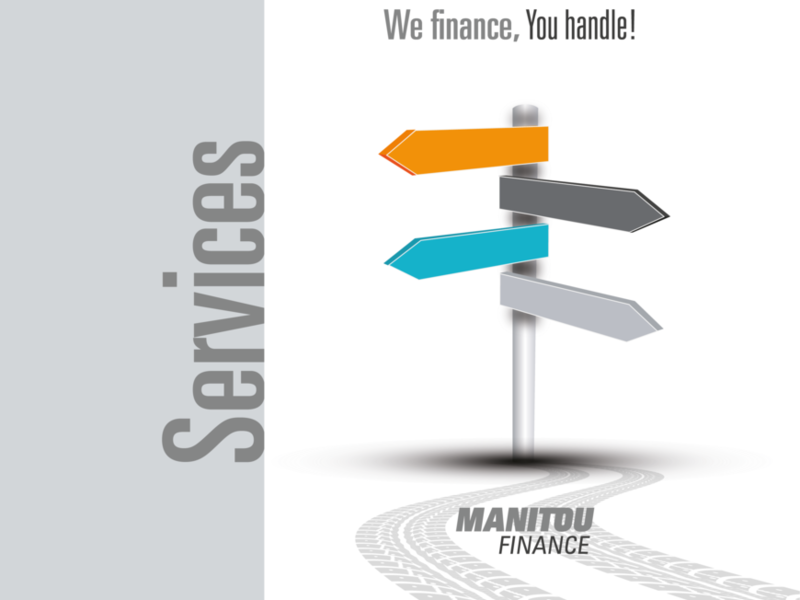 Manitou will manage all the procedures to make your process easier. You no longer need to submit applications to banks and insurance companies. Our experts guarantee a clear tailored solution without hidden costs. You refer to a single contact: your dealer. No need for repeated visits to an insurance company, dealership or the bank. The best of technology through the regular renewal of your equipment and for an accurate budget with no surprises.